Free SMS Worldwide, Supported In More Than 200 Countries. Send free sms to world. No need to register to send free SMS. Send Free text messages online. Using Pumpsms.com we provide the service to send free SMS Texting From a computer. 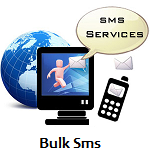 Send free Bulk text messages from this website to any operator. No need to send sms messages from your cell phone any longer. Do it all online!